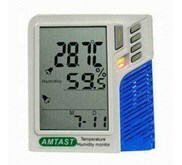 AMT-138 series is GSM SMS alarm temperature humidity data logger with LCD display which can measure and record temperature and humidity data of the environment; Meanwhile, it can send alarm message automatically once the setting limits being exceeded and users can dial the SIM card number anytime anywhere to get the SMS feedback of knowing the real-time temperature and humidity. 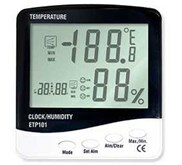 The assorted DGraph software can let users finish the setup of data logger easily; such as log interval setting, alarm limits setting, downloading data for analysis etc. 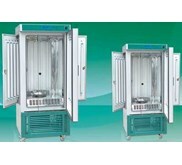 It definitely can satisfy all your professional requirements. GSM SMS alarm and built-in light and sound alarm functions. 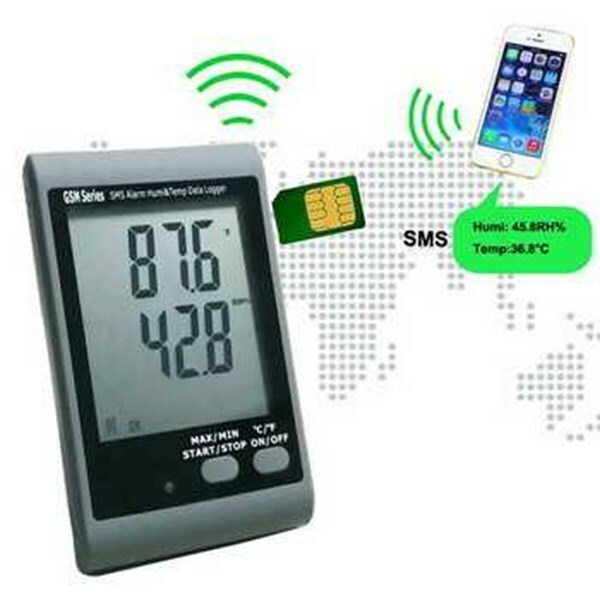 Data logger will send SMS alarm message once the setting limits being exceeded and users can get the real-time temperature humidity data SMS message anytime anywhere just by dialing the SIM card number. 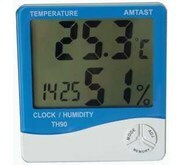 USB interface and professional DGragph software let users can finish device setup easily. 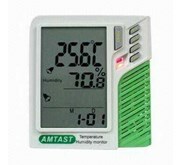 Each data logger has the unique serial NO; several data loggers can be on the same interface for data analysis. User can set access password for data logger; name all channels and enable/ disable it. Two point calibration with assorted DGraph software. Applications: GSM series has been widely applied in pharmaceutical industry, transportation industry, refrigeration filed, agricultural field, warehouse, machine room, museum and laboratory ect.